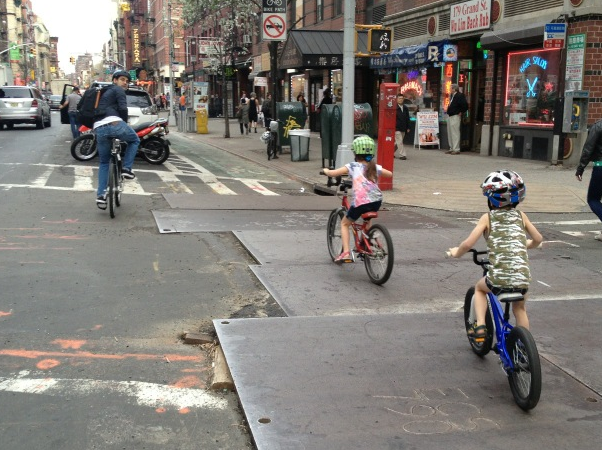 If this isn’t a sign of how far biking in New York has come I don’t know what is. Apologize? Dude and his adorable daughters deserve a medal. Take that, Sean Sweeney! I love this photo, and I hope by the time spring rolls around the street will be in better shape.